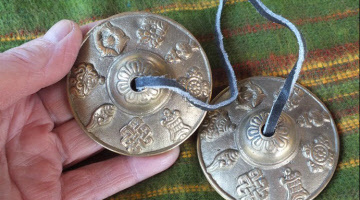 Meditation Cushions, Tibetan Cymbals, (Tingsha), Incense, Bells and books on Meditation are just some of the few things needed for a successful Meditation session. It is important to have some items to ensure a good Meditation session and be as comfortable as possible. To this end we have some items on this page which may assist you to achieve your goals. 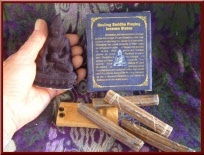 Incense, including herbal / chemical free varieties. This large Meditation cushion is excellent for sitting, it will not sag or go soft as it is filled with Kapok. 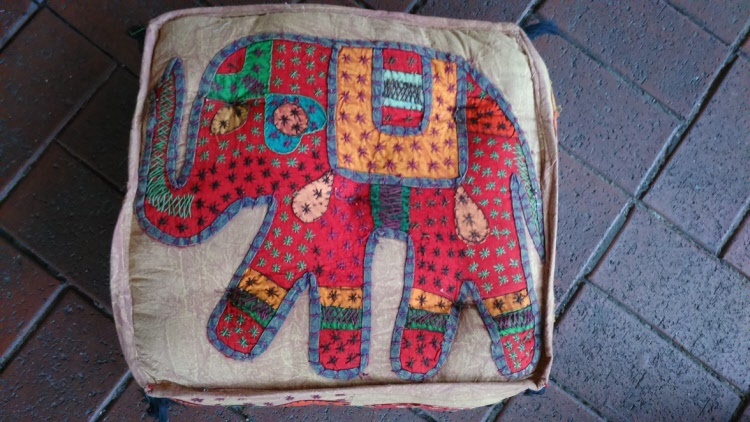 Kapok is a natural fibre and so is the outer of this cushion being made from cotton. There can be nothing better than knowing you are seated on all natural product while enjoying your meditation. 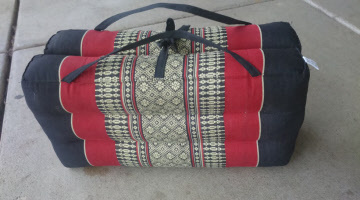 All natural outer made from cotton, and is filled with Kapok (from the Kapok tree) another all natural product. 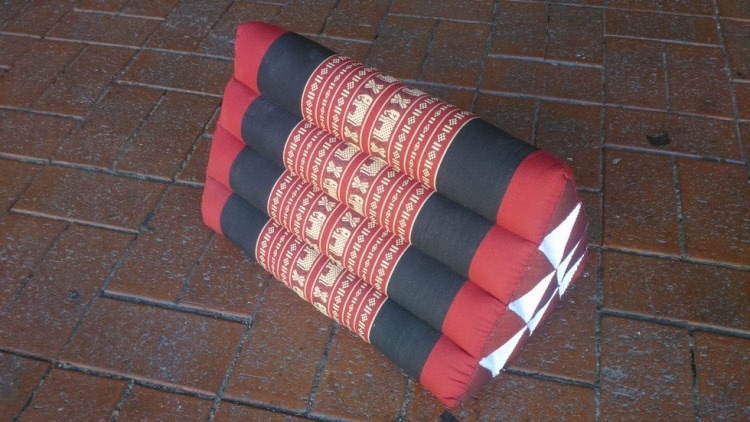 Kapok is a very dense fibre and won't sag like other pillows or cushions on the market. 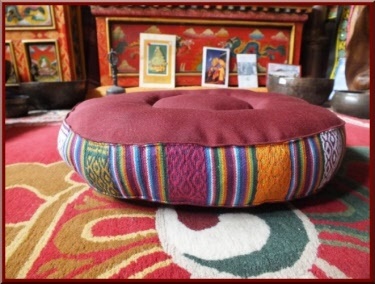 Ideal for meditation or taking to any sporting, theatre or music event where those chairs are just too hard to sit for long periods of time. 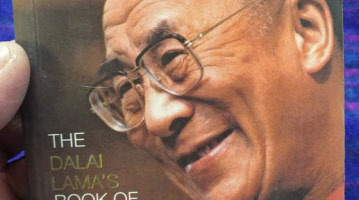 Many books on Buddhism here waiting for you to view. I can't recommend this book highly enough. So easy to read and understand, I couldn't put it down till I'd finished reading it. The explanations are so easy to deal with, all in all I love it. 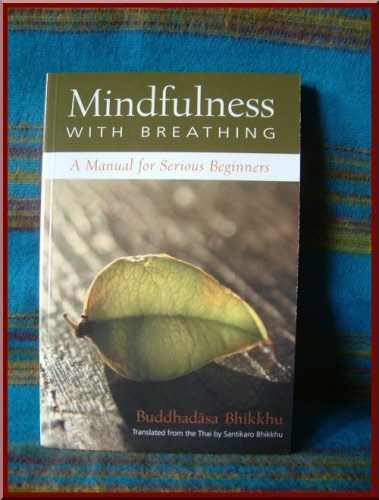 Using a straightforward style of presentation the Author provides all you need to know to become free of stress and worry through the "simple and beautiful act of sitting quietly, alive to the breathing". as taught by the Buddha. 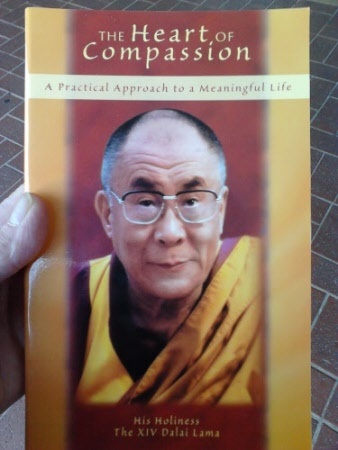 I first found the book 20 years ago when visiting Thailand. This is the new revised edition, basically a larger format and larger print. 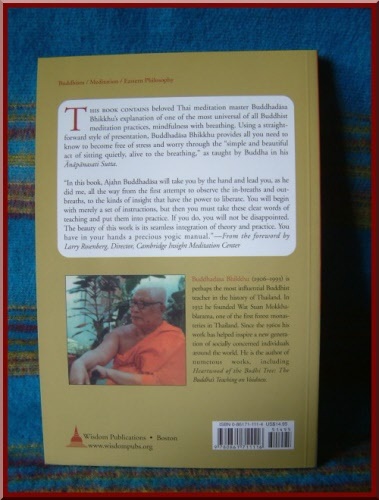 The Author Buddhadasa Bhikkhu (passed away in 1993) is perhaps the most influential Buddhist teacher in the history of Thailand. In 1932 he founded Wat Suan Mokkha-blarama, on of the first forest monasteries in Thailand. 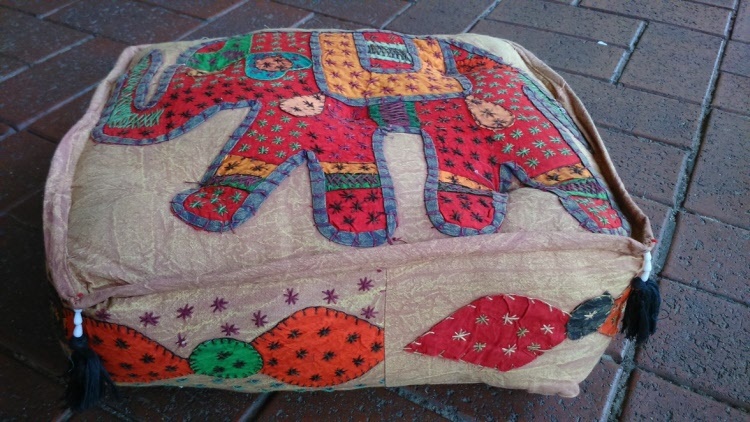 A great cushion for sitting in Meditation, it is filled with Kapok (from the Kapok tree) and the outer is cotton. 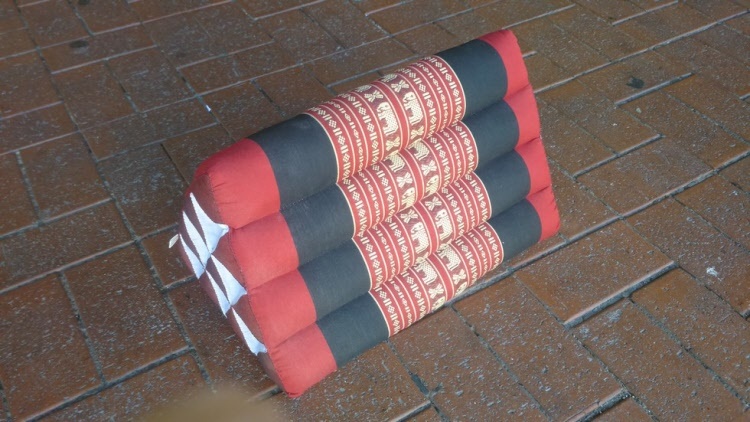 Very comfortable and won't sag like some other cushions on the market as Kapok is a very sturdy material. 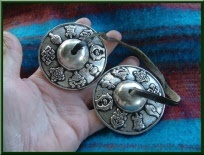 Can be used for Meditation or general use in the home. 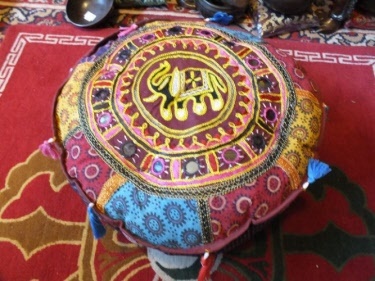 Is decorated with embroidery, tassells and mirrors. 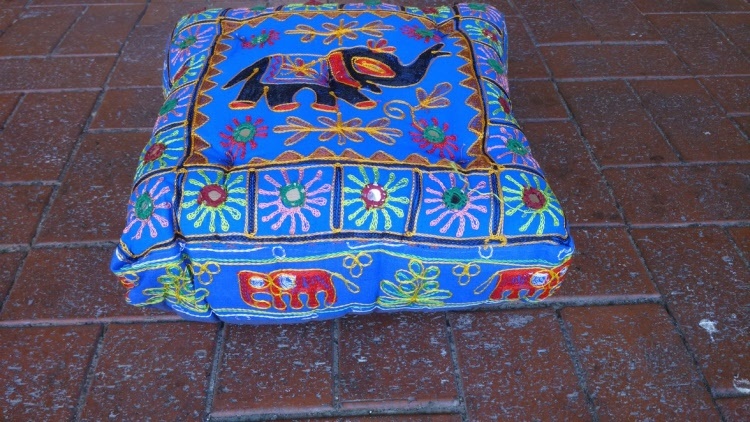 Variations in colour may occur as all are individually made. 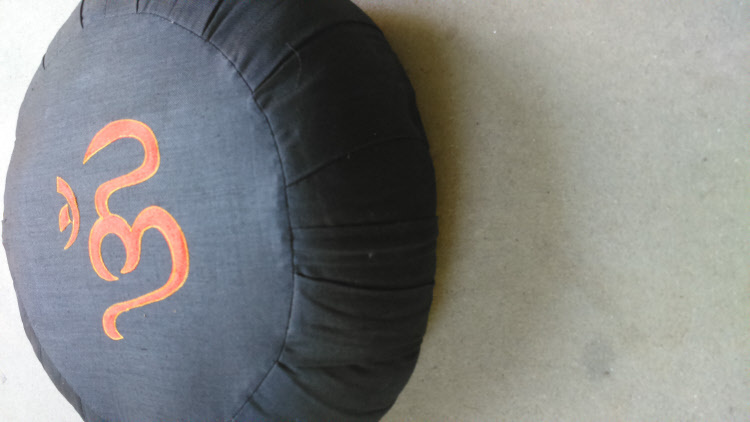 These Meditation cushions are among the best around. 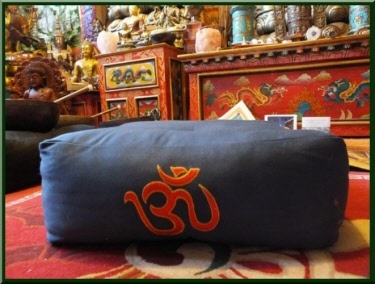 Used extensively in Meditation and Yoga centres. 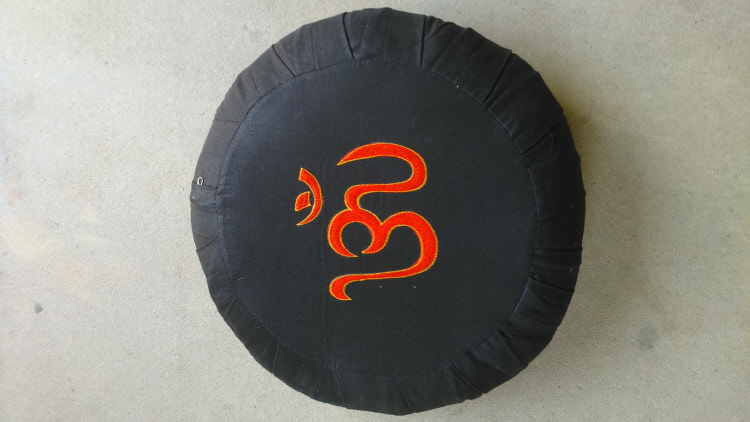 A great design with the Sanskrit Om sign embroidered on the top. Made from all natural products, with a cotton cover and inside is Kapok. Kapok is a natural product from the seed pod of the Kapok tree, so much better than the synthetic products used in some cushions. Kapok provides a firm seat which won't sag when you sit on it. Measures: 42 cms across and 14 cms thick. Ideal for relaxing in the lounge room or bedroom, great to lean against while on the floor while using you favourite electronic device. Take it anywhere with you, on a picnic, to your favourite festival, or just camping. Made from cotton and filled with kapok this is truly an ALL NATURAL PRODUCT. Kapok won't sag after many years of use, unlike some other products that are used to fill cushions. 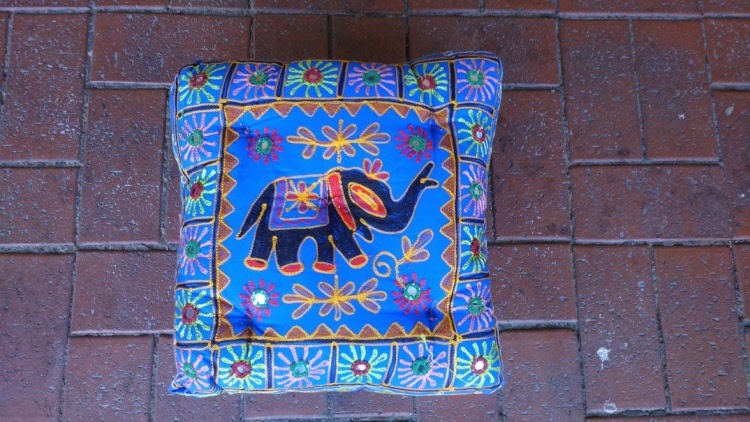 Great cushions, can be used on your couch, on the bed or on the floor. Even use as a meditation cushion if you wish. Kapok will prevent the cushion from sagging as it's very dense. Colours may vary due to changes in stock. 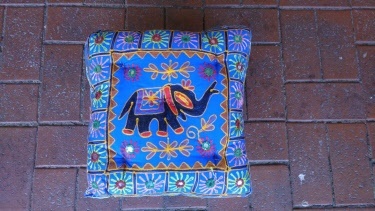 Postage to some areas of Australia will be $18.00 for up to two cushions.